FAW-Volkswagen has launched the all-new Jetta, the first independent sub-brand of Volkswagen. MetaDesign Beijing was a key partner to Volkswagen China and FAW-Volkswagen in the development of Jetta’s brand strategy and a comprehensive brand identity program that includes visual identity, sound branding and retail concept design. 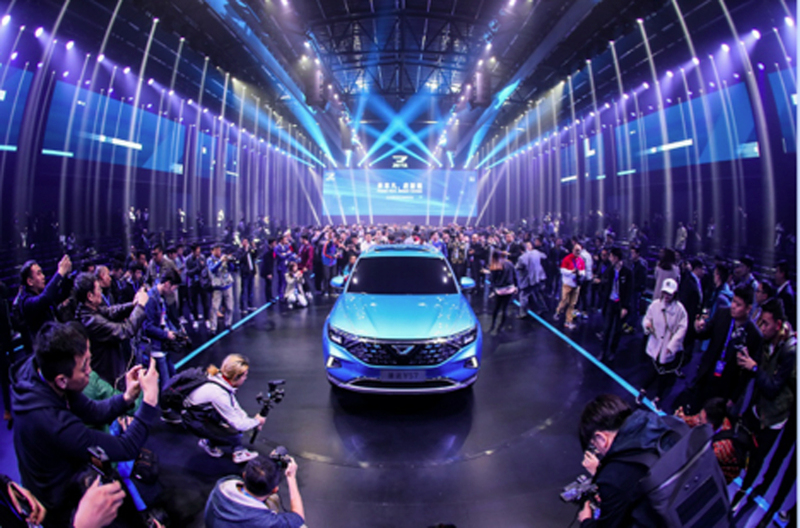 The Jetta Brand, which builds on decades of strong heritage in the Chinese market, carries ambitious plans to once again put an entire generation of middle-class, first-time Chinese car buyers on wheels. Jetta offers a portfolio of upper entry-level models to provide an ideal introduction to the Volkswagen family. FAW-Volkswagen’s major reveal to over 400 media, guests and VIPs in Chengdu comes after more than a year of intense preparation and close cooperation between MetaDesign Beijing, Volkswagen China and FAW-Volkswagen, the joint venture responsible for the production of the new Jetta vehicles. From the outset, MetaDesign Beijing helped set the course for the brand’s development, calibrating the Jetta brand strategy to reflect the authentic and pragmatic needs of first-time car buyers. “We worked closely with FAW-Volkswagen to crystallize their vision before diving deep to truly understand the needs and personality of future Jetta buyers. From there, we helped craft a brand strategy that would genuinely connect with its customers and clearly communicate Jetta’s unique offerings,” said Mauro Marescialli, MetaDesign Managing Director. With refreshed brand values, a new mission and clear vision, MetaDesign’s brand strategy team worked with Volkswagen China and FAW-Volkswagen to develop a Jetta personality that was optimistic, confident, authentic, easy-going and straightforward. Those values were brought to life in an eye-catching visual identity, with an authentic image style and fresh colors. Sally Anderson, MetaDesign Creative Director said, “The impactful dual-stripe signature graphic – encapsulates Jetta’s proud past and bright future”. In addition to defining strong visual guidelines for communication across all channels, MetaDesign helped further sharpen the Jetta brand’s fresh personality through a modern and vivid dealer store design concept and sound branding that perfectly captured its approachable spirit. “We want to thank everyone at Volkswagen China and FAW-Volkswagen, the management team in Wolfsburg and all of the partners involved in this project for their extensive teamwork and support. This is a proud moment in Volkswagen’s history in China and we are honored to have been part of this unique journey,” Marescialli said.